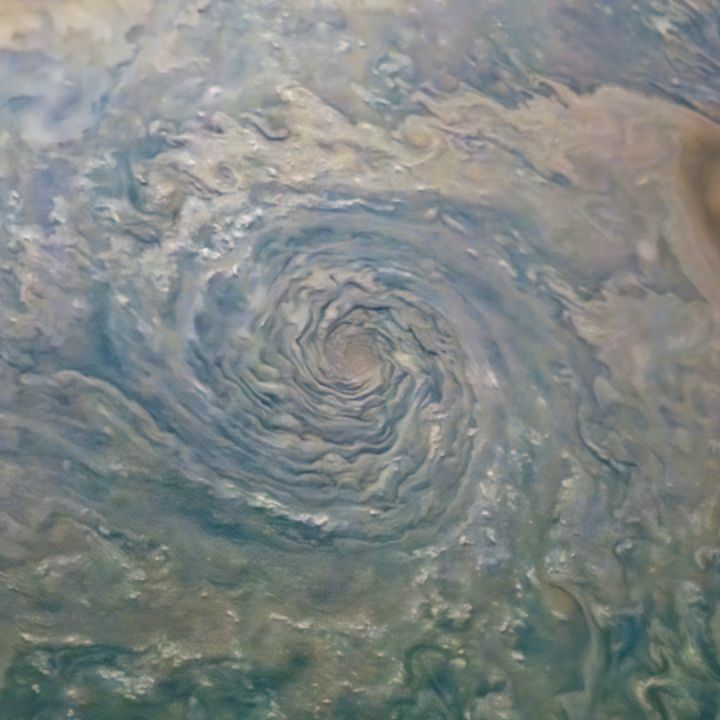 April 4, 2019 – A cyclonic storm in Jupiter’s northern hemisphere is captured in this image from NASA’s Juno spacecaft. Many bright white cloud tops can be seen popping up in and around the arms of the rotating storm. The color-enhanced image was taken at 10:25 a.m. MST (12:25 p.m. EST) on February 12, 2019, as the spacecraft performed its 17th science flyby of Jupiter. At the time, Juno was about 5,000 miles (8,000 kilometers) from the planet’s cloud tops, above approximately 44 degrees north latitude.